GAP Farming Orchard Resort or simply GAP Farm is definitely my top favorite weekend outing destination for my family. 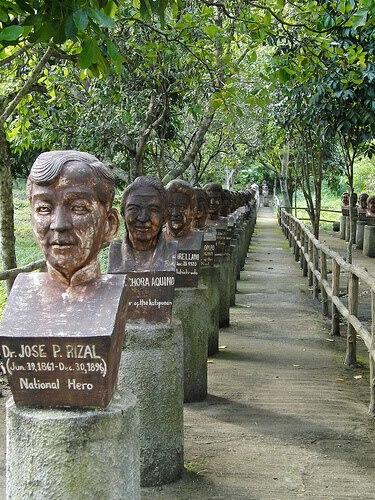 I can no longer recall the countless times my family and I went to this beautiful resort where several fond, unforgettable memories transpired. The last time my family and I were here was in 2006, with a good friend and neighbor, Tom Hilado, of Manila where I presently reside. 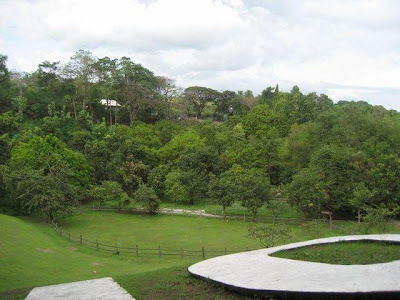 It goes without saying that, when my family and I set our feet again in Davao City, we will definitely find ourselves back to the grounds of GAP Farm. 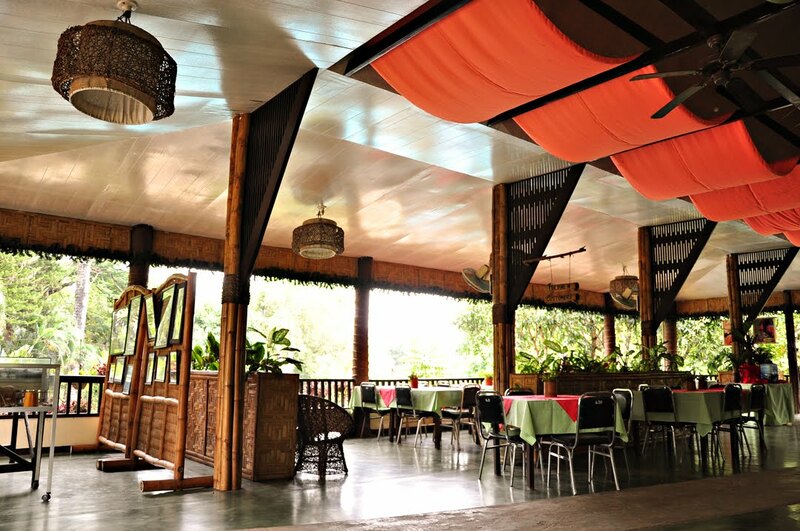 The first time I set foot to the Resort was in 1999 through my insurance client who later became my close friend, Allan Gabucan who at that time lived in Ma-a where the Resort is located. 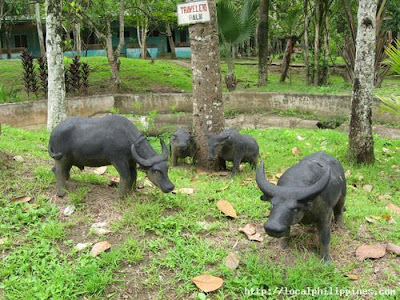 The Resort is a good five-minute walk from the Gabucan residence. 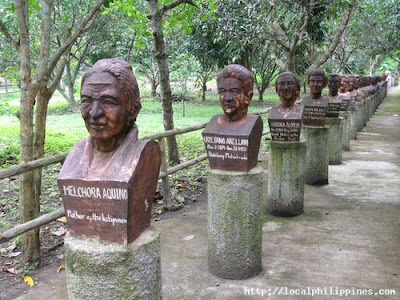 Presently, Allan, his wife, Arlene Gabucan and their children had relocated and taken residence to another side of the town. 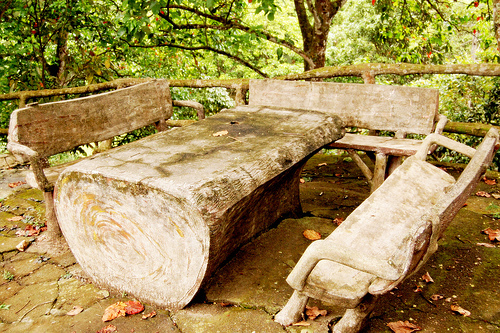 GAP Farming Orchard Resort is a ten-hectare mountain resort and orchard of various fruit bearing trees such as, pomelo, rambutan, and sweet tamarind among many others. It is located in the hilly part of Green Valley, Diversion Road, Ma-a, Davao City. 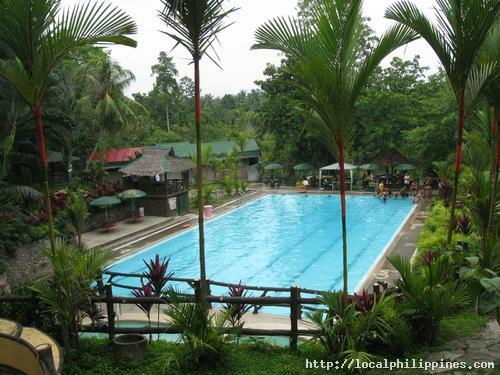 The Resort has an Olympic-size swimming pool, an old World War II Japanese carved tunnel, a chapel dedicated to the Santo Nino and the Mother of Perpetual Help, horseback riding facilities, convention hall, mythical statues scattered in various spots within the vicinity, cottages and picnic areas, and a campsite as well. 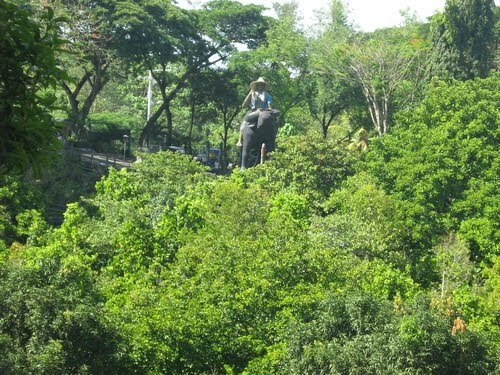 The lush greenery and the abundant varieties of trees, tropical fruits, exotic flowers, plants, and colorful rich floras and faunas are indeed a sight to behold. 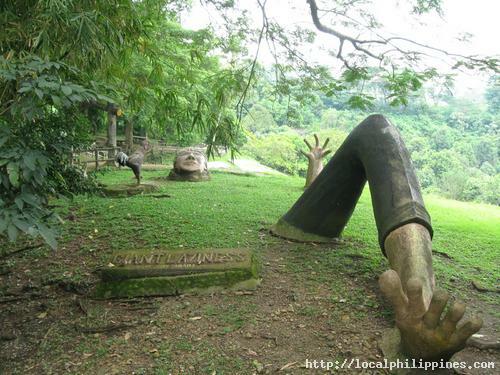 GAP Farm is a popular tourist destination and a favorite family outing spot for locals, and is frequented by students during field trips. Fast Wi-Fi connection is available in the Resort. 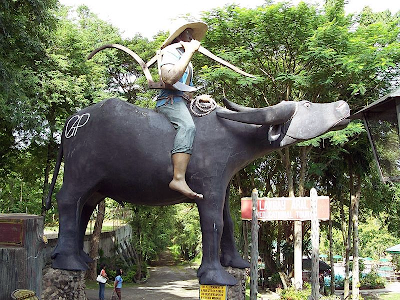 Upon entering Gap Farm, a huge concrete statue of a farmer riding on a carabao warmly welcomes its visitors. One of the main attractions in Gap Farm is the huge marble imprint of the phrase "Land of Promise" set on its vast lawn, which is easily visible while on-board an airplane. 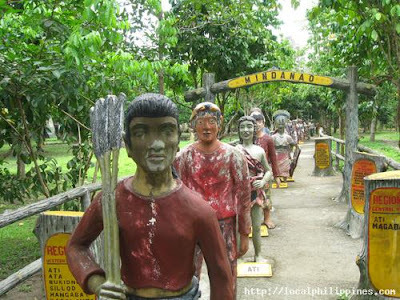 Historical statues, a parade of sculptured animals, a row of Philippine president busts, different tribes of Mindanao are among the many others attractions visitors will find within the Resort. Conferencia ng mga Multo sa GAP Farming is a recent addition in the statue collection of the Resort that showcases popular mystical folklore creatures in the Philippines. 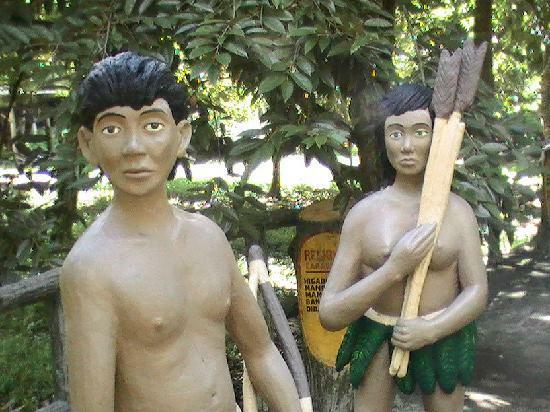 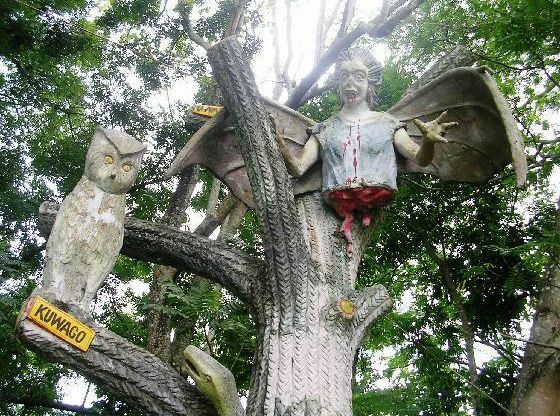 Visitors are shown of different statues of popular Philippine ghosts and monsters like the white lady, "tikbalang" (half man-half horse), and "kapre" (smoking giant), among others. Embedded to the ground is a large statue of "Juan Tamad"
Juan Tamad is a popular Filipino folklore that depicts the consequences of laziness. Juan Tamad would await all day for a fruit to drop to the ground, instead of climbing up the tree to get it. 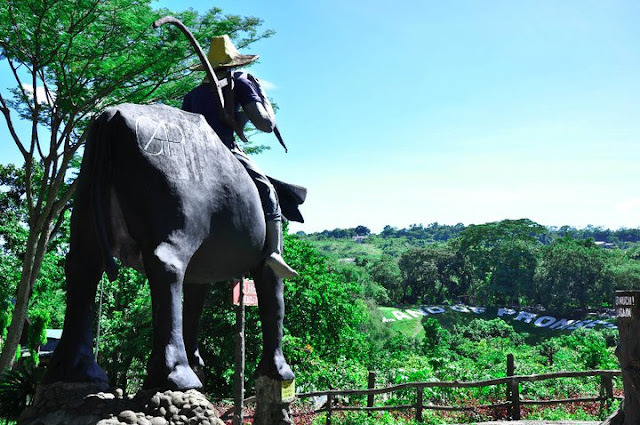 GAP Farm is located in the hilly part of Green Valley, Diversion Road, Ma-a, Davao City, and is about 15 minute drive from downtown Davao City. 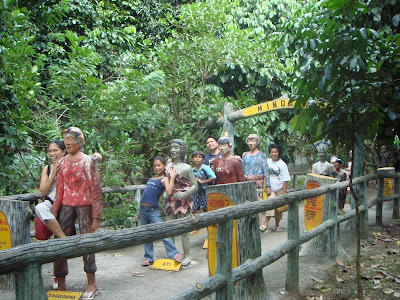 Beauty of Davao . 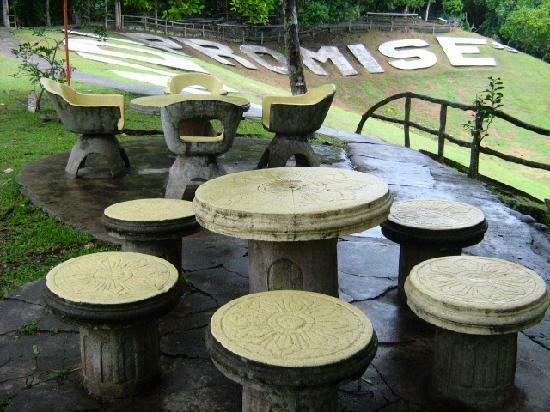 land of promise.